I have a pink kitchen but my dining room is a little plain. It has a white table, clear chairs, and a couple pink frames. I needed that extra pop of something that requires more less time, money and effort. I'm not afraid of color (I mean, my office has a lime green door on it) and I'm willing to get a little dirty if it means saving some money! 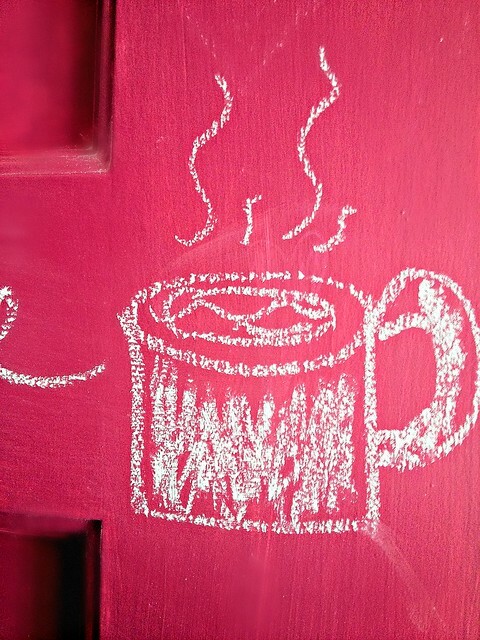 I've seen a ton of black chalkboard all over Pinterest, but pink? It wasn't available at a general craft store. 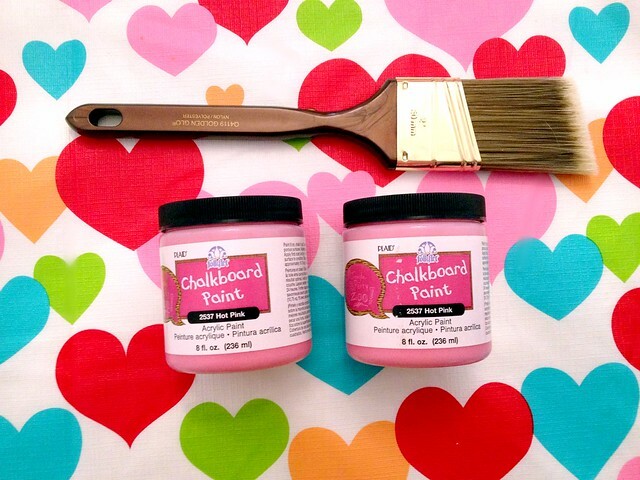 I found Pink Chalkboard Paint on Amazon. 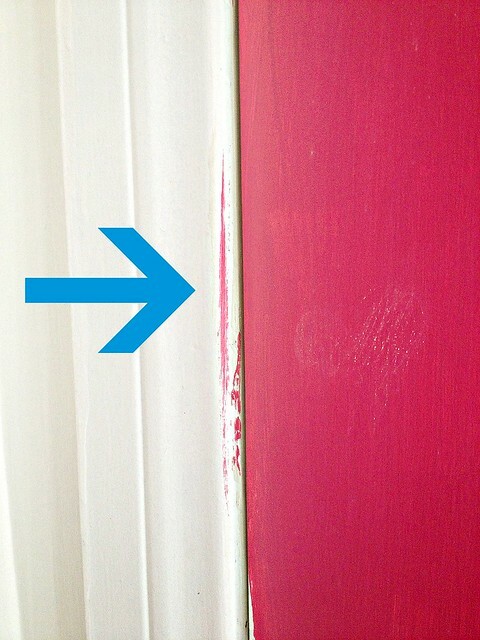 I bought two small jars and ended up using one, with about 4 coats on the door. A little goes a long way with this brand! 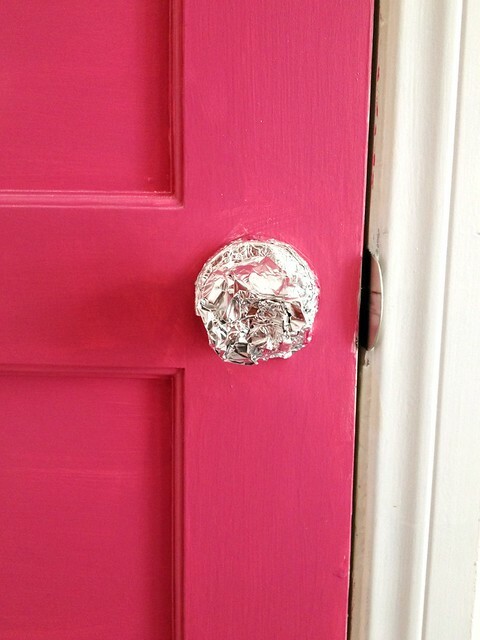 I wasn't sure how to prep the door, but I found this amazing, AMAZING tip on Pinterest!! I'm not very good at painting, and I was a little messy. Apparently you have to pay attention to these things. I use it mostly not for the color but honestly for organization. It's a meal planner, a shopping list, a to-do list, or just for love notes. Overall, I'm really really happy with it, the color from this brand is HOT pink, but that's exactly what I wanted. I always see cool projects online but I feel I'm either not talented enough, or I won't love it enough to devote time and effort to it. 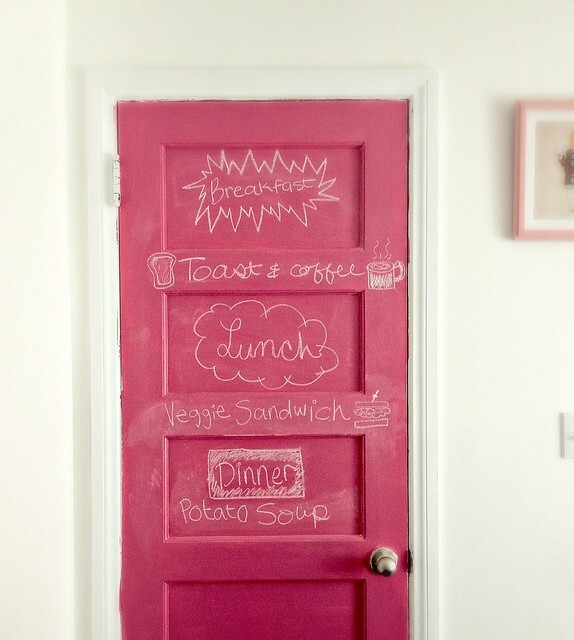 Now I can say I've tried the chalkboard trend and I absolutely love it!